A failed attempt on the highest peak in Selangor due to time constraints. A 3hr up + 2hr down hike through thick jungle to the peak of Bukit Kutu (1100m). Great view at the top, although not on the day we climbed (it was cloudy). 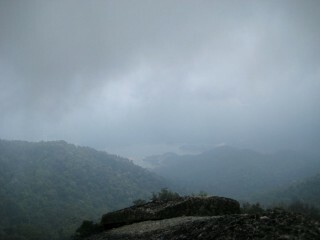 A 2 hour climb up the 714m mountain in Rembau, Negeri Sembilan, Malaysia.